Food Activities At Free Choice. 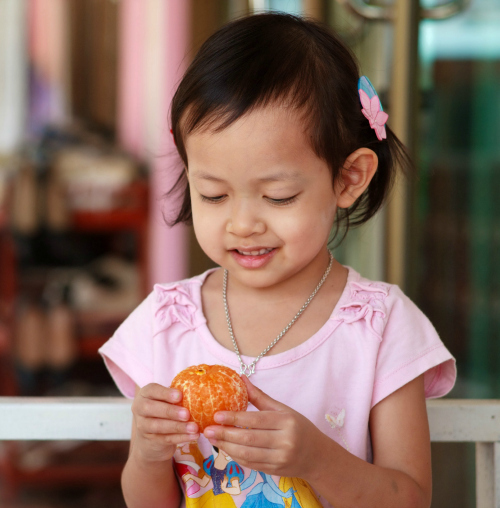 Check out these fun ways of using food to help your preschool students develop essential skills while engaing their senses. Great for a 5 senses unit of study as well. 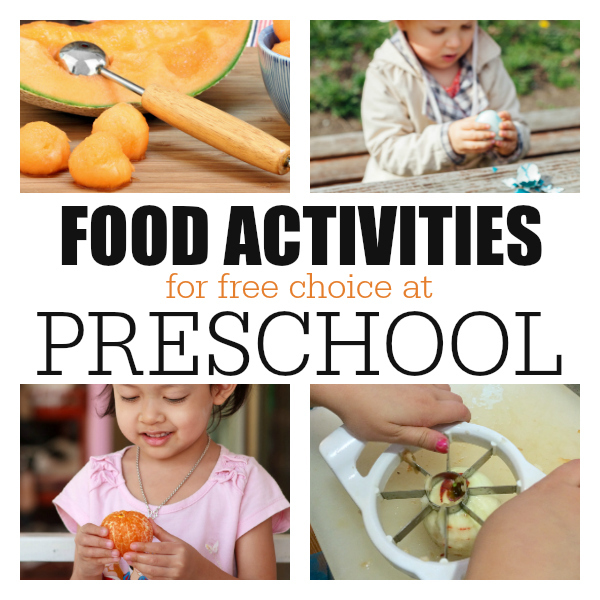 9 Simple food activities preschool students can explore and eat. There is a huge debate about using food in preschool classrooms. I know first hand how useful food can be for a lesson and for children to connect with new concepts. However, I fully understand the desire of teachers to respect food and not waste it, especially if your students know what it”™s like to be hungry. In my classroom, I found that when we have a food activity out for free choice (also known as centers) my students love it. These ideas aren”™t for snack time and the children are encouraged to eat their work; no food goes to waste. The best part of food activities in my mind is how much children talk while working away. Students talk a lot when there is food, if they are making cereal bracelets or peeling oranges, they are talking and helping each other while they do it. When our students are talking to each other not only are they building oral language skills they are also building friendship skills. This isn”™t a good bonus lesson; this IS the lesson, and these food activities are the tool to make it happen. There are bonus lessons as well such as working on hand-eye coordination, fine motor skills, and hand strength to name a few, but I see the value in the way that children mimic adults and make cooking and food activities social. Here are some great ways to bring food into your classroom with the intention of your students eating the food ”“ not just playing with it. Peel and slice hard boiled eggs.This is wonderful for concentration and fine motor skills. 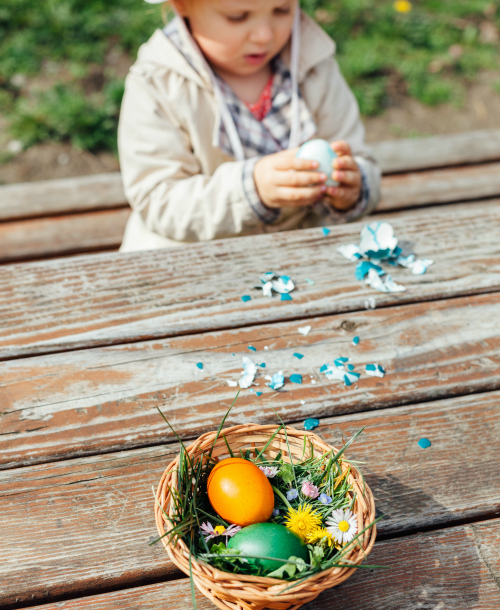 If your students are ready to peel the eggs, you can always just slice and eat. This is a perfect idea for a farm theme too! Make soup. I did this in the fall with my 2 and 3-year-olds. We used a crock pot, I precooked noodles, had chicken stock, carrots, and celery that I steamed for just a few minutes to soften just a bit so cutting them is a little bit easier. The children helped spoon all these items into the crockpot and stir it before I turned it on and let our soup cook. We made it at free choice but served it at snack. Mini Blueberry Kabobs. Use toothpicks to make little fruit kabobs. 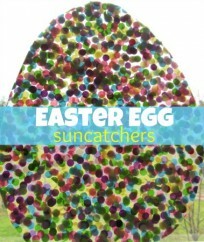 These are always a huge hit with my kids and are great for hand eye coordination too! As children add the berries they naturally count, they notice the texture, the shape, smell”¦ and hopefully taste too! 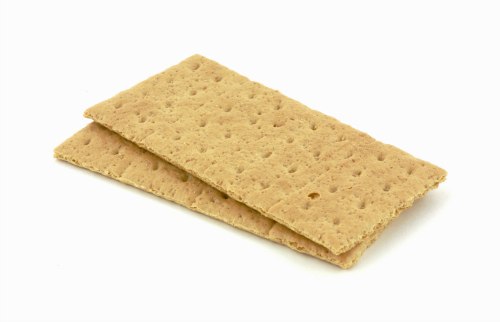 Breaking Graham Crackers. Concentration, dealing with frustration, shapes (two rectangles make a square, two squares make an even bigger rectangle) and even the very basics of fractions come into play with this simple activity. Applesauce. Making applesauce as a free choice activity means you can leave the inner pot of a crock pot on the table, with apples, an apple slicer, and safe knives for students to chop under supervision. Cinnamon adds more fantastic smells and when it”™s time to clean up put it on the heat with some water and cook it all down until it is a thick sauce. Making Trail Mix. Counting is natural especially if you don”™t give your students and spoons to make their trail mix. I love to sit next to children making trail mix. We make estimates about how many nuts or chocolate chips or raisins they have. It”™s a wonderful way of learning all about making estimates without sitting down and being taught a lesson about it. It”™s so yummy too! 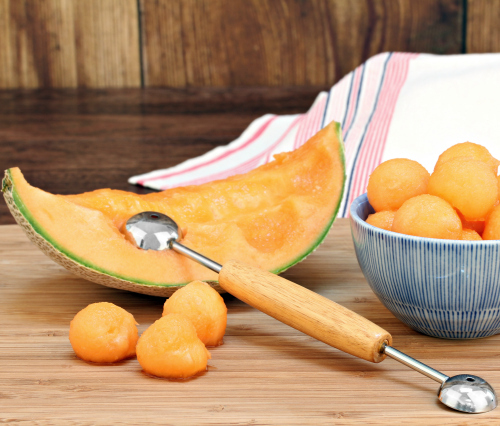 Scooping Melon with a Melon Baller. I knew I would find a good use for this funky little scoop! I got it a year after I got married and had used it only once for myself, but kids LOVE it. This is a messy activity and a great one for a hot day outside. 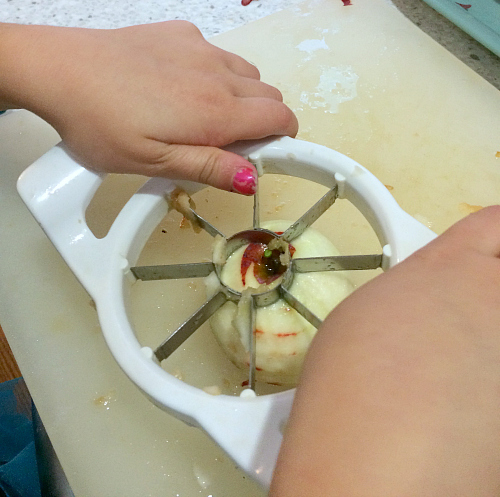 It takes a lot of coordination to make balls and just scooping any melon out is an accomplishment for little guys. Peeling Mandarin Oranges. 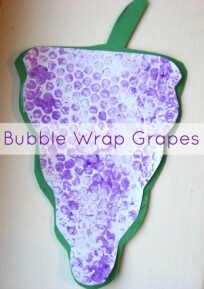 Wonderful for fine motor skill practice and hand strength but this is also wonderful for the smell in your classroom. Trust me after you do this you will have a fantastic smelling room. I started doing this by accident really; we had extra oranges at our house, so I took them to school and it was an instant hit! Slicing cheese. 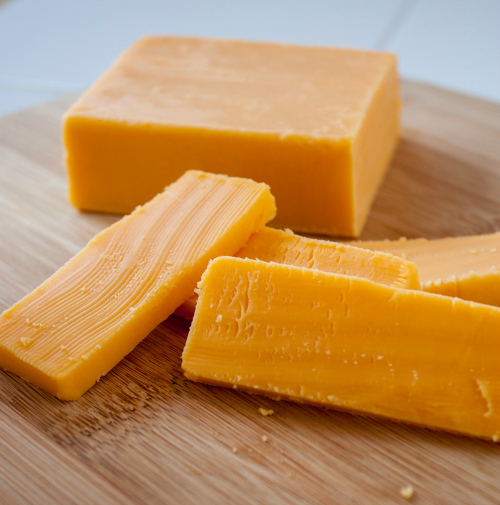 Pre-cut some long rectangles of cheese, provide plastic knives and invite the children to slice and eat. Plastic knives will go through most cheese easily and allows children independence and a real sense of responsibility in a safe way. 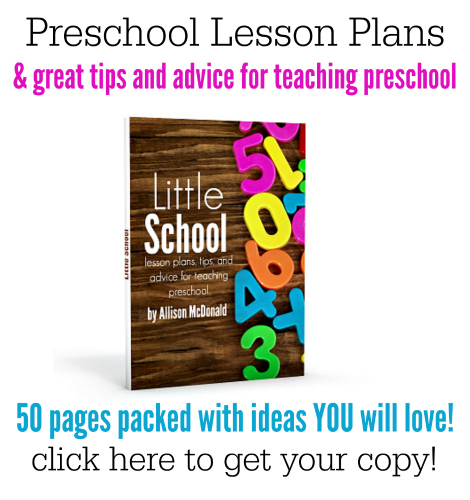 There are so many benefits to including food in your preschool classroom. And there is no need for it to be a huge production that takes ages to plan and facilitate. 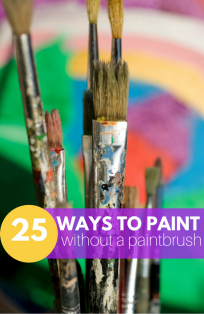 It can be simple, done at free choice, and stress-free. How do you incorporate food into your classroom? Share your ideas here in comments or on No Time For Flash Cards Facebook Page! I love how you have included food as not only a developmental activity but as a yummy snack. My students would love love to sit and and peel mandarines or slice cheese and eat it! The oranges are my favorite!